These are some odds and ends, but I wanted to make sure I got them up here. 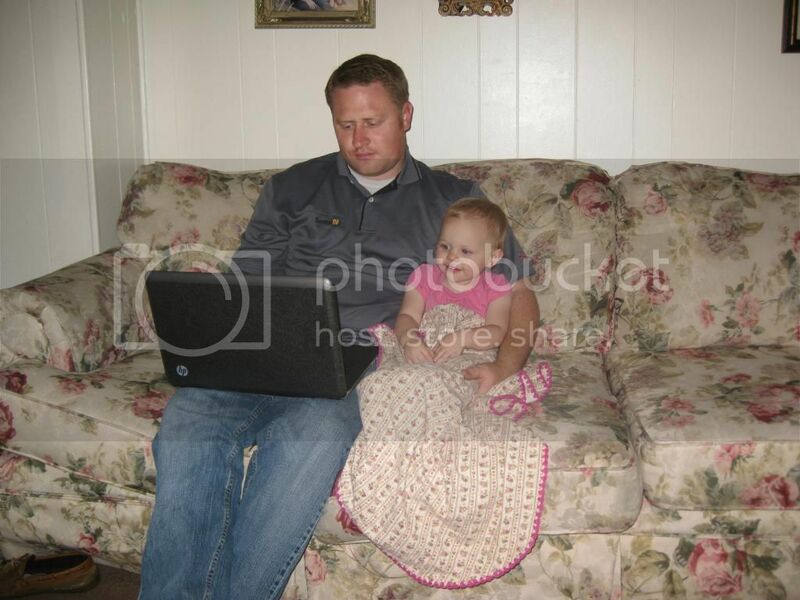 Cheyenne LOVES to do anything with her daddy, even if he's just working on the computer. 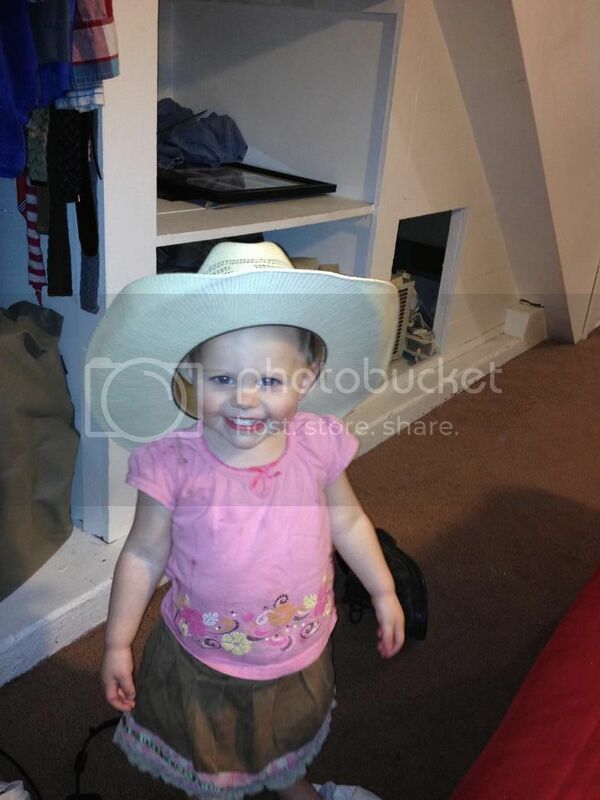 She found her daddy's hat from his mission to Texas. 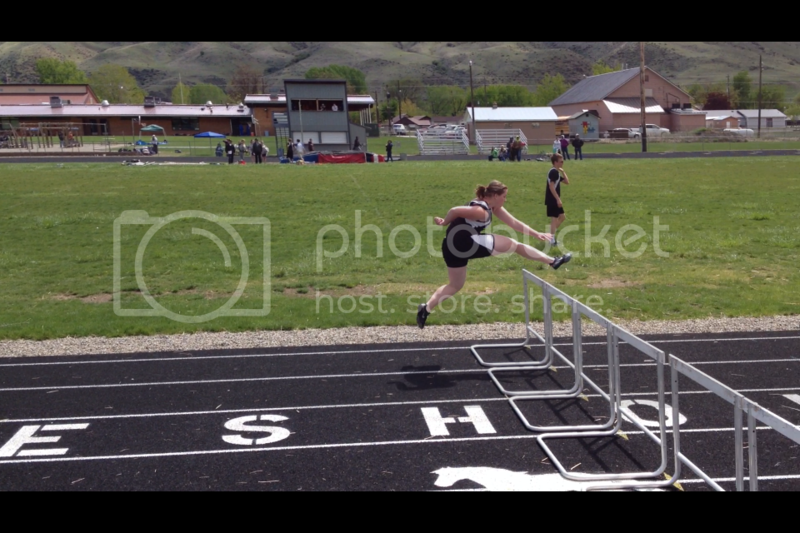 A sweet action photo of Cassidy doing the hurdles.